MEURSAULT – Hubert has been the principal winemaker in the family since 1970. He is from Meursault and he married a woman, Marie-France, from Chassagne-Montrachet. Together, they have 4 daughters. Hubert is the 7th generation in this family that is steeped in tradition. 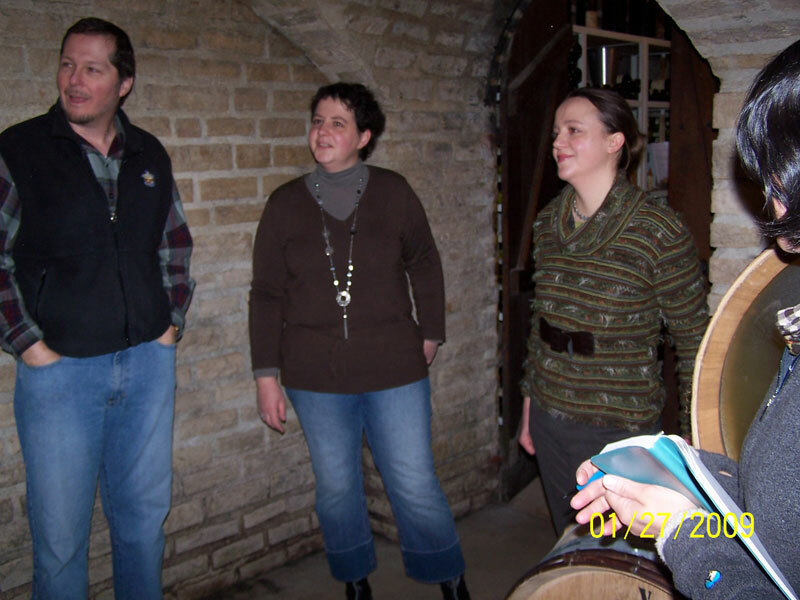 Two of his daughters, Marie-Anne and Marie-Laure, are also certified winemakers. They have mostly taken over the family estate and become the 8th generation of winemakers in Meursault. In fact, a few years ago, they were honored as the “best young winemakers in the Cote de Beaune”. Very prestigious! This is truly a family affair. The family cares for the vines and hand harvests the grapes. They tried machines at one time, but felt the resulting wine was noticeably inferior. They visually inspect every bunch of grapes and hand sort them. The most concentrated and best tasting fruit is kept for the family name. The lesser quality fruit is sold to a negociant. Similarly, at pressing, the best juice is kept for the family’s wines. The remainder is then sold off to a negociant. This is “win-win” because the family keeps its quality standards intact and receives immediate cash flow whereas the negociants receive more material for their mass-produced wines. Furthermore, this is a family of winemakers, not marketers. The average age of their vines is almost 45 years old, but they do not put “old vines” on any of their labels. This family’s work is of such high quality that several of their relatives enlist them to make their wine, which is bottled under the relatives’ names. I only import this family’s personal wines, though. Please call us to learn more about our Bouzereau-Gruere, Hubert Wines and their availability.